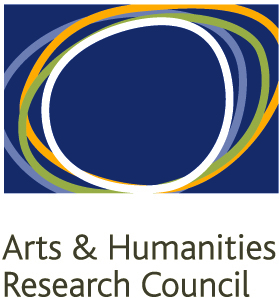 This is an AHRC funded research project that runs from July 2013 to December 2016, as part of the Connected Communities Scheme. Amateur theatre has an active place in the life of many communities, despite receiving little intervention from funding councils, charities, local authorities and professional theatre. Yet for people who take part, the choice of repertoire, the craft of performance and the production values are very important. We take social and artistic intentions of amateur dramatic companies seriously, and we aim to find out what role amateur theatre plays in constructing and sustaining communities. This research aims to find out how (and if) amateur theatre companies create, sustain, challenge and revitalise their communities. We're interested in the social and cultural significance of amateur dramatics as a craft, as creative practice, as entertainment and as heritage. We'd like to know what the practice of amateur dramatics can tell us about how people spend their time, and if this has changed over time. We're interested in the social aspects of amateur dramatics: how participation fosters friendship and romance, weathers conflict and fall-outs, and sustains family involvement and community participation across generations. We'd like to find out how amateur dramatics is viewed by their audiences and valued as part of local heritage, and how productions are valued by wider communities in which they take place.